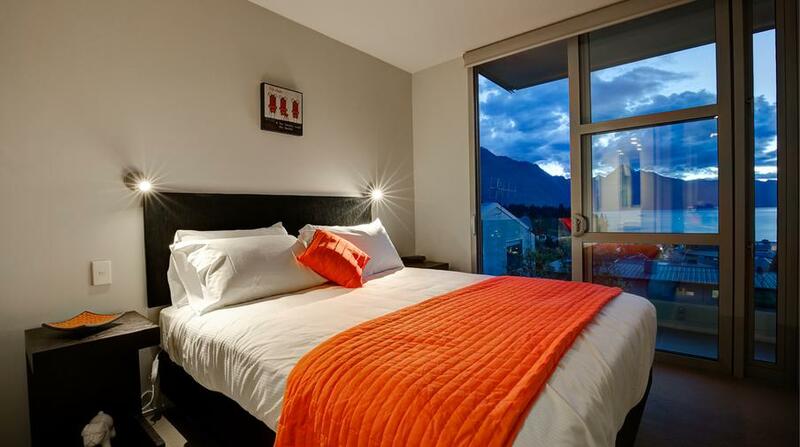 Spacious modern apartment located 2 mins from Queenstown central, stunning views from the balcony and a high quality fit-out throughout for those who deserve a bit of luxury while in paradise. Look no further for the perfect group or large family holiday accommodation. 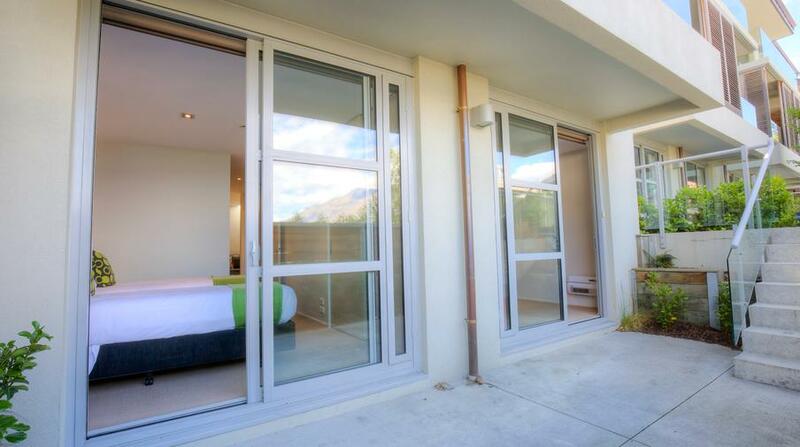 The apartment has the best views of central Queenstown and the lake of any apartment in the complex. Whether it be relaxing in front of the luxurious gas fire after a ski trip in the winter or sitting on the balcony after a day of extreme sports in the summer, this apartment has all you'll need. 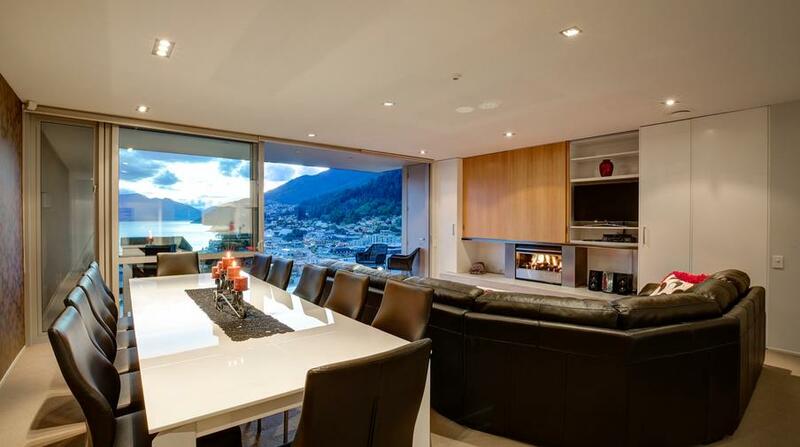 The lounge is excellent for entertaining and has unobstructed views of the lake. 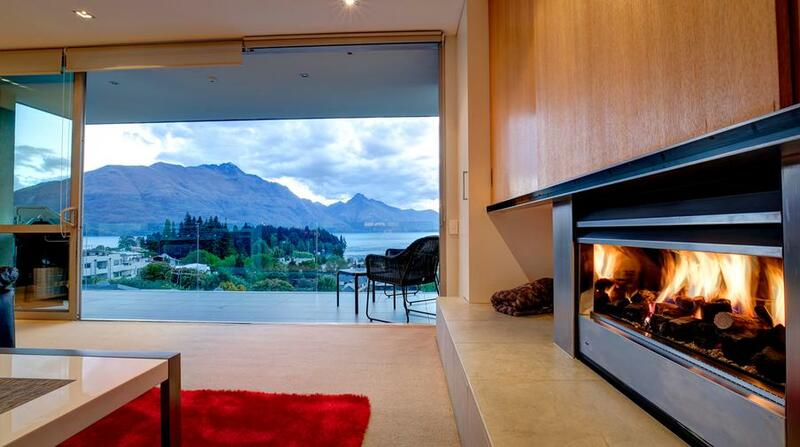 Uninterrupted views of the lake and mountains! 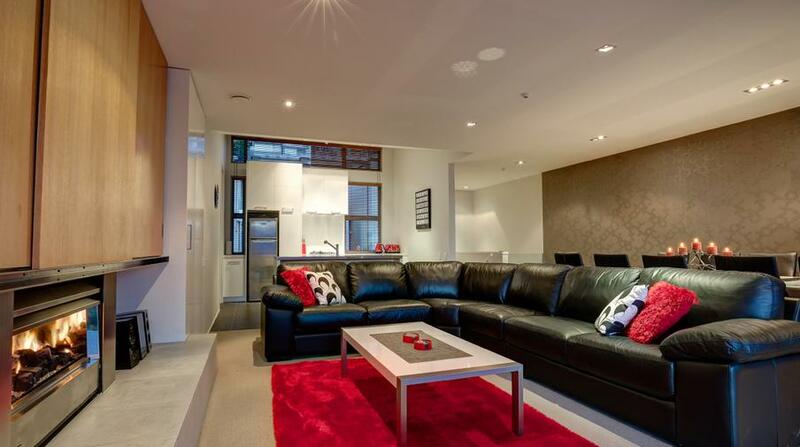 A modern apartment located 2 minutes walk from town. Excellent value for money and professionally managed. The view from the apartment was amazing! The house was large enough to accommodate our group of 4 families comfortably as well. We were slightly disappointed with the cleanliness of certain "off-usage" items. For example, the high chair had leftover crumbs and visible food stains. The BBQ pit was also very dirty (which deterred us from trying to use it). Whilst there was a downstairs pantry, we were also disappointed to find that it was not available for use (this would have been very handy for a big group such as us). Aside from these minor issues, the apartment was generally clean, and the living area was large enough to accommodate us. The location was also superb (a 5 minutes walk away to the town centre & supermarket). Hi Jasmine, thanks for your feedback. While I am disappointed with a rating that was far less than my average rating I will make sure in future that the high chair is checked for cleanliness. It would appear that the previous user has put it away without cleaning it correctly. I will also discuss the BBQ with the cleaners. I'm not sure what you mean by "downstairs pantry" but the downstairs cupboards in what used to be a kitchen are available to use as is the second fridge. We stayed at Luxury on the Lake for 6 nights in January with 8 adults and 2 children. The property is in an excellent location with easy walking distance into town and amazing views from the balcony. The split level layout and individual bathrooms in each room make it a great option for large groups. 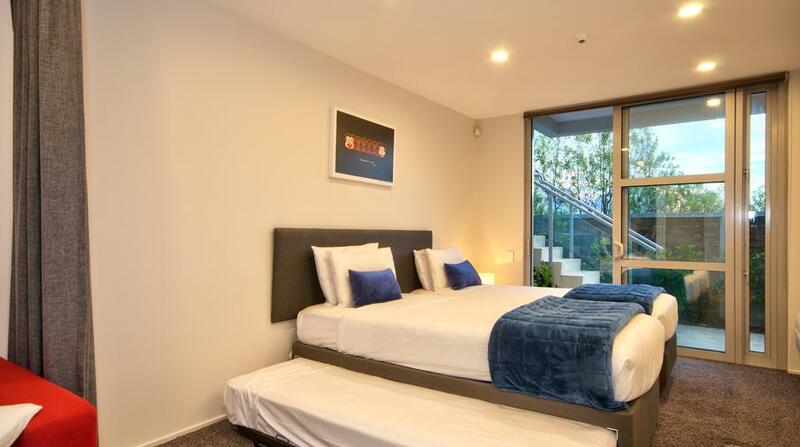 The property was clean and all basic amenities provided. 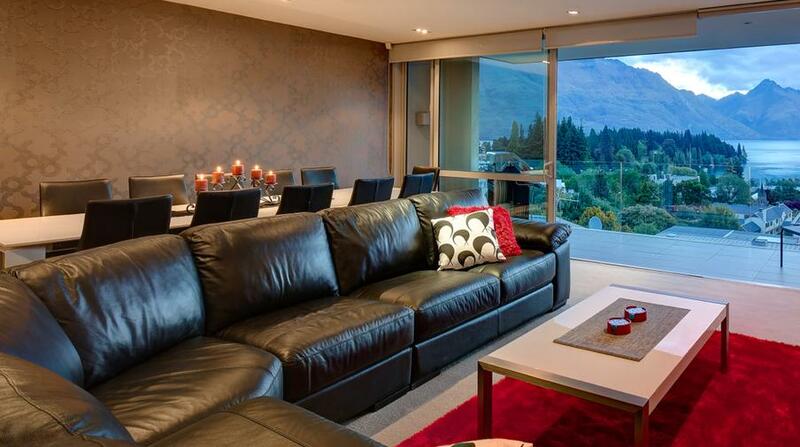 I would highly recommend this property and would stay here again when traveling back to Queenstown. We spent a week at luxury on the lake in July, there was 8 Adults and 7 Children and there was plenty enough room for all of us! the kids even had there own little retreat downstairs which was fantastic! Jason the owner was super helpful especially when we had a problem with the cleaners he sorted it all out, so make sure you leave the property how you found it (which is what we did) to get your bond back! The view was AMAZING the walk into town was short but man the hill is a killer on the way back but totally worth it for the spectacular view from the living area. The cupboards in the bedrooms need new rollers as they were super hard to open but other than that we had the most amazing holiday and will definitely be coming back next year! This property ticked all of the boxes for us (7 adults and a 4 month old) and is probably the best location in the unit complex. 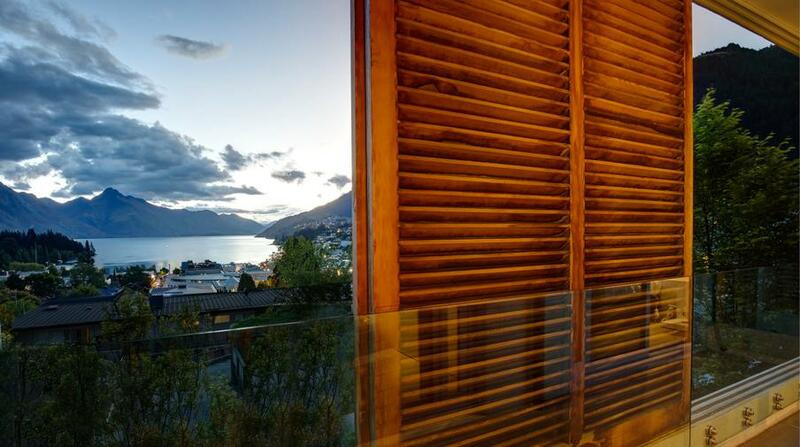 There is no building directly in front, so the view is into town and down the lake, not the neighbours roof. To get to town was only a 10-15 minute walk. 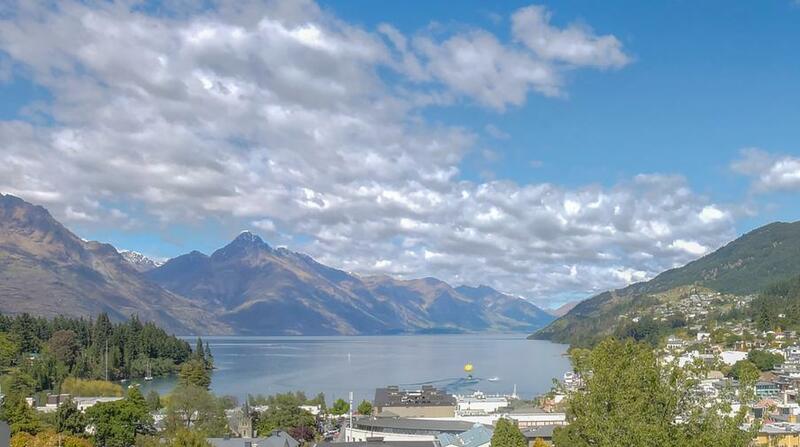 If you are staying in Queenstown, be aware that the town is built on very steep hills. This property, on Hallenstein Rd, is probably as far up the hill you would want to walk. Any further any you may need a car... or taxi or Sherpa:) The entrance to the complex is on the side street. It has 3 levels. You enter at the middle level. 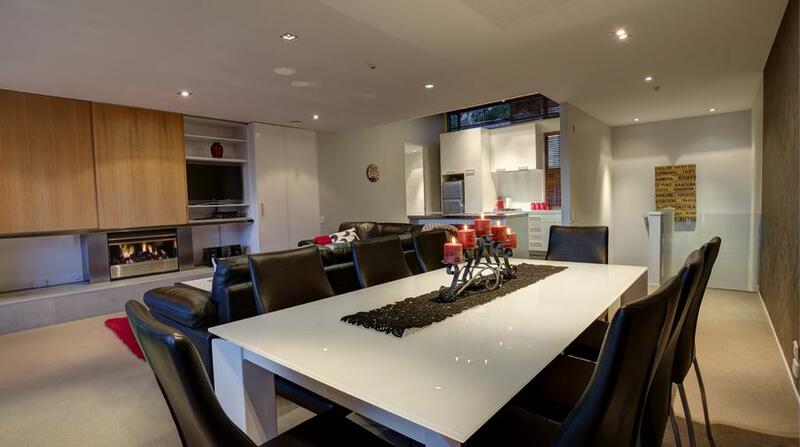 The top level is open plan with Kitchen, dining and living. There is also a separate toilet. The middle level has the entrance, two bedrooms and the garage. Bottom level has two bedrooms and a living/kitchenette area. 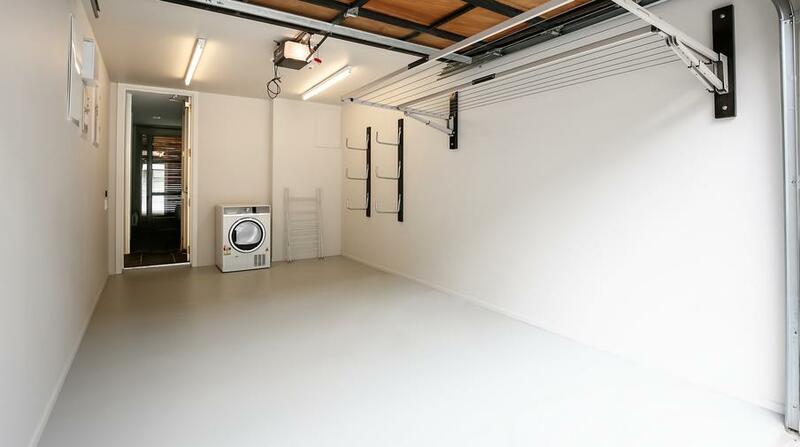 The second bedroom is built under the garage (it is the bedroom with the sofa). 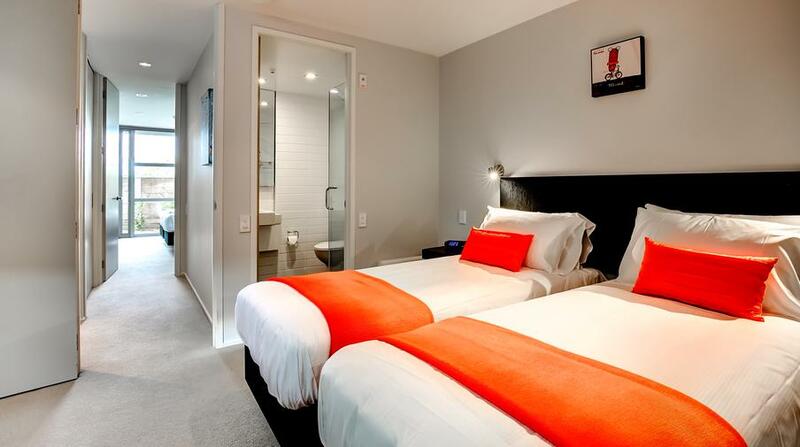 All bedrooms have ensuites. The only suggestion we could make is to have a few more (stackable, director) chairs on the balcony to be able to sit outside and enjoy the amazing view (with a glass of NZ wine). We would happily stay there again. Great dealing with the owner Jason - very easy going and prompt to get back to you. Our stay was perfect and the place is amazing. Thanks Aaron, glad you had a great time and thanks for the comments and review! My family and a couple of friends stayed for a week for my wife's 60th birthday (seven of us in total). The house worked perfectly, with the separation between the two downstairs bedrooms and lounge/kitchenette being ideal for our grown up children to have their own space. We loved the location too - an easy walk into town, and an invigorating walk back up the hill after sampling all the good food and wine in Queenstown's restaurants. Would definitely recommend the accommodation, and would love to come back if we have the chance. 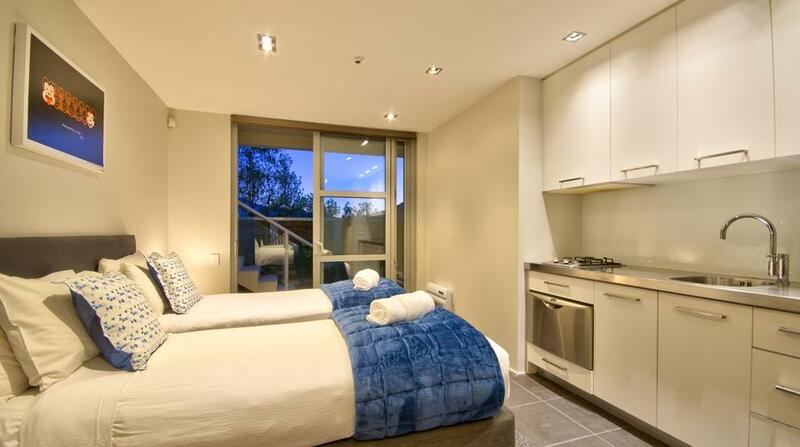 Stayed in this apartment for 2 nights recently with a group of friends. It was all it was advertised as .... Beautiful furnishings, extremely clean and tidy, ensuites for every room, and the view was to die for. Would recommend this accommodation to anyone. 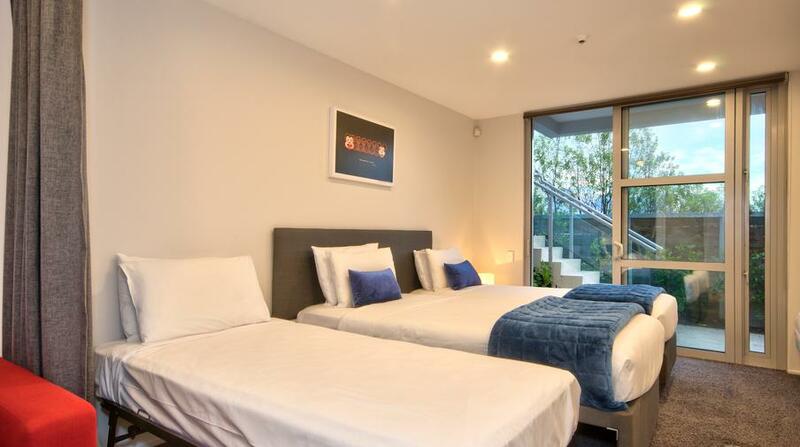 Fabulous view, high quality apartment, very comfortable beds. Suggest fix or replace hot water system -we had almost cold showers for the first few days before the gas company man attended to address this issue.